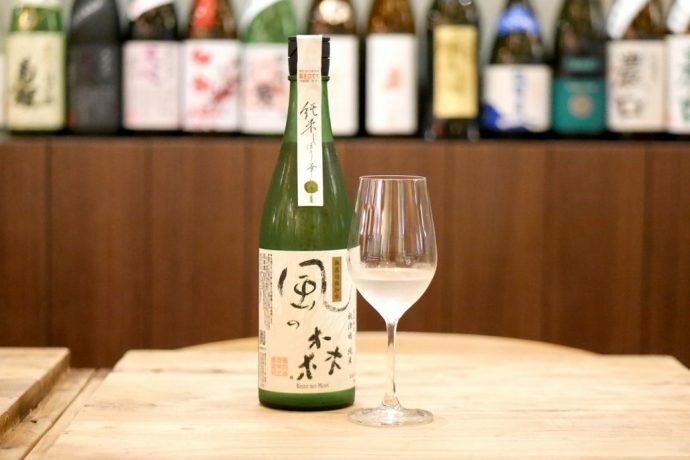 Shukuu Izakaya presents the Kaze no Mori Akitsuho Junmai Shiborihana Sake (S$128/bottle). Telok Ayer is no stranger to CBD dwellers looking to quell their daily grind. Whether it be wine, beer or crafted cocktails, they have it. 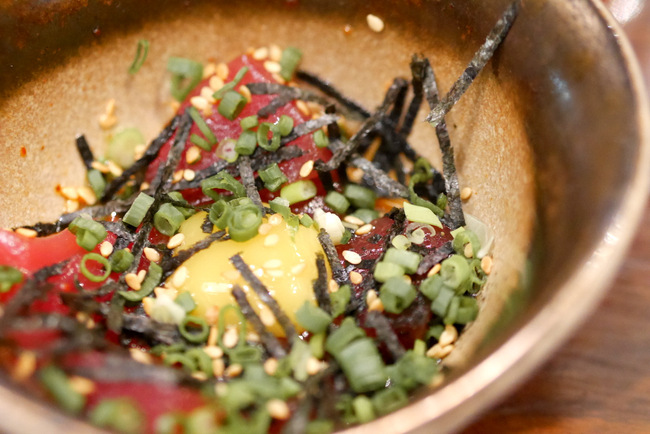 What one might now know is that nestled in the bustle of modernity, is Shukuu Izakaya. Like the name suggests, it promises to whisk all who enters into the vibrant drinking culture surrounded by Japan’s prized spirit – sake. Shukuu Izakaya is decorated with bottles and bottles of sake. The year old establishment has garnered much popularity of late, thanks to its excellent menu of “informal” Japanese cuisine. The palate is authentic, yet the kitchen manages to kick it up a notch to keep diners coming back. Proof? I went on a Saturday night, where Stanley Street kicks into ghost town mode, and yet, it was a full house less than an hour after opening. The passion in all things Japan shows in the cooking, but an izakaya can’t earn its place without the ambience. It’s the mishmash of chatter, laughter, plates clanking while surrounded by cheers of “kanpei” that makes it so. Being surrounded by emptied bottles of prized sake, a grand mural of a tanuki (racoon) riding The Great Wave off Kanagawa and the waffling aroma off a busy grill just perfects it. Luis Liu of Shukuu Izakaya is a double certified SSI International Kikisake-Shi (國際唎酒師) and SSA Certified Sake Sommelier. Food aside, much of the establishment’s path to success lay in those bottles and bottles of sake. As I became mesmerized by the varied labels, worthy of a collector, that laid along its walls, my mind naturally drifted to my main agenda of the evening – just what is sake? Surely one would say the most popular spirit of late are whiskies. One by one, enthusiasts and casual drinkers are picking up on understanding the rangy palates of these coveted amber hues. Sake, on the other hand, remains the underdog. Luis Liu, co-founder and a double certified sake sommelier, explains that Japanese rice wine (日本酒, nihon-shu) is just as varied and complex. He continues, with frevor, that as Japan’s famous passion for tradition and innovation marries, a whole new world of “new-age” sake is just waiting to be discovered. 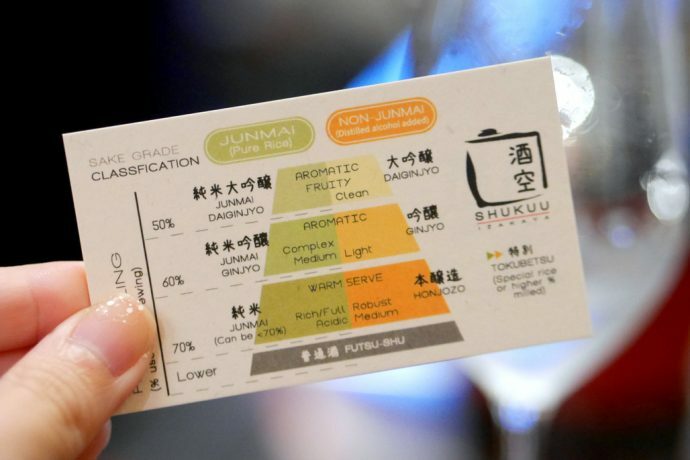 A quick guide into the types of sake designed by Shukuu Izakaya. I, undoubtedly, is one of those new to the world of sake. This is where Luis steps in, with his extensive knowledge of sake, born out of his love for the spirit. He condenses all that he knows, gained from self-translating Japanese texts with no formal understanding of the language to gaining trust and guidance from famous senseis, into an amiable, over-the-bar sake 101 session (paired with delicious morsels) in just under two hours. Aiming to blow our pre-notions of sake out of the water, Luis started off with the Kaze no Mori Akitsuho Junmai Shiborihana sake (S$128/bottle) from Yamamoto, Nara. Opened like a champagne with a loud pop, he explains, that this, here, is a namazake (fresh, raw, or unpasteurized; 生酒). Unlike normal sake, which is pasteurized twice, namazake is not pasteurized. What you get is continued active fermentation, lending a hint of carbonation to the drink. 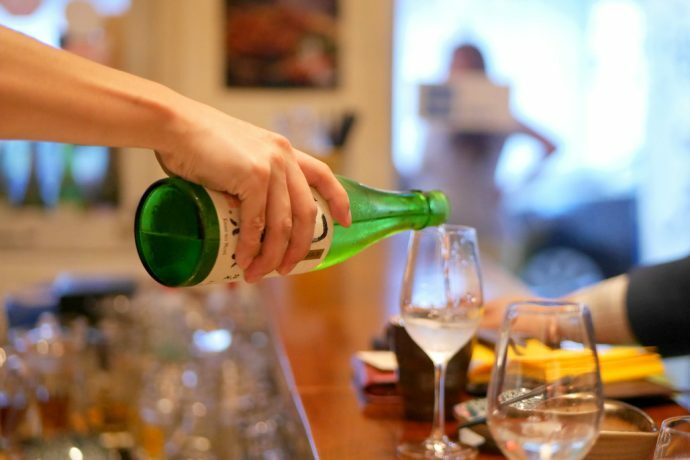 It is also what gives the sake a light acidity, like a dry white wine. Best of all, is that it delivers a fresher taste and fruitier aroma, which, in this case, is reminiscent of an apple orchard. 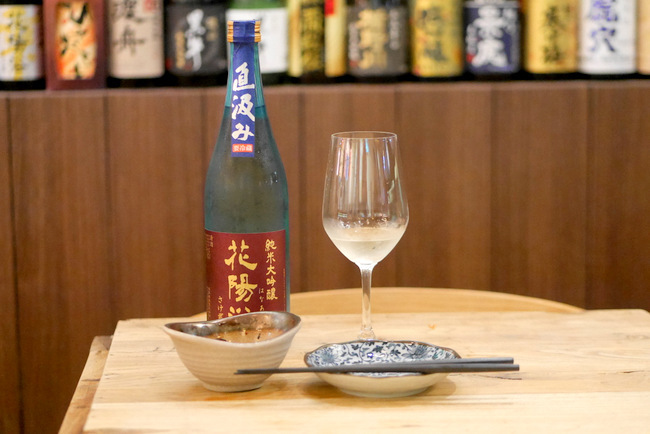 Shukuu Izakaya presents the Kaze no Mori Akitsuho Junmai Shiborihana Sake with Gyu Ponzu (S$7). That acidity is best paired with a meatier, oilier dish. 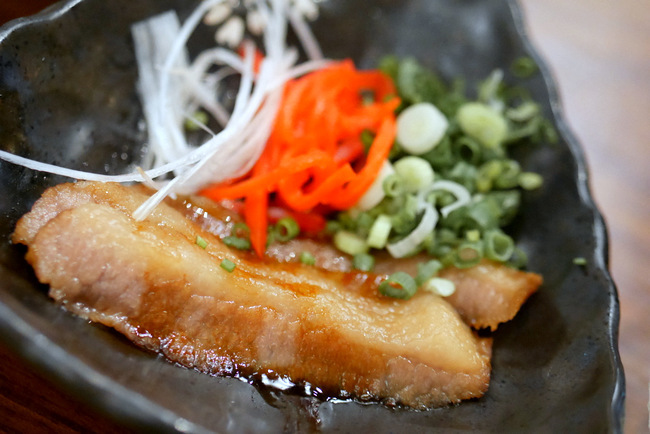 Hence, the Gyu Ponzu (S$7) or a lighter, yet punchy Yasai Miso (S$8). The former is a crowd-pleaser, with its tender slices of beef bathed in a citrus-based ponzu sauce and little bursts of savory from the flying fish roe. Shukuu Izakaya presents the Hanaabi Junmai Daiginjo (S$148/bottle). The surprise continues in the form of Hanaabi Junmai Daiginjo (S$148/bottle) from Nanyo Jozo brewery in Kanto, Saitama. This sake presents a rich melon nose with a hint of pear, while the palate is acidic with a touch of savory. The Hanaabi Junmai Daiginjo (S$148/bottle) is best paired with the Maguro Yukke (S$12): sashimi-grade tuna tossed in chilli oil and raw quail egg. What makes this sake different is how is was filtered. Rather than “pressed” filtering, it was allowed to naturally free-fall (a.k.a. shizukushibori). While I am not privy to what this does to the sake, I do know it’s clean, clear taste paired well with their Maguro Yukke (S$12). 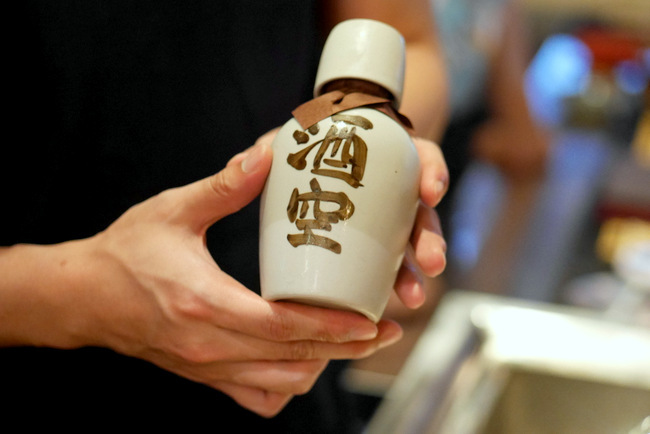 Shukuu Izakaya is home to their exclusive sake, Shukuu, a Tokubetsu Junmaishu (S$53/bottle) in a traditional Tokkuri bottle. And, a tasting at Shukuu cannot go on without a taste of their very own. In comes the Shukuu Tokubetsu Junmaishu (S$53/bottle), brewed and bottled by a brewery in Nikko, Tochigi. Best served warm, it is a well-textured drink packed full of umami flavour. 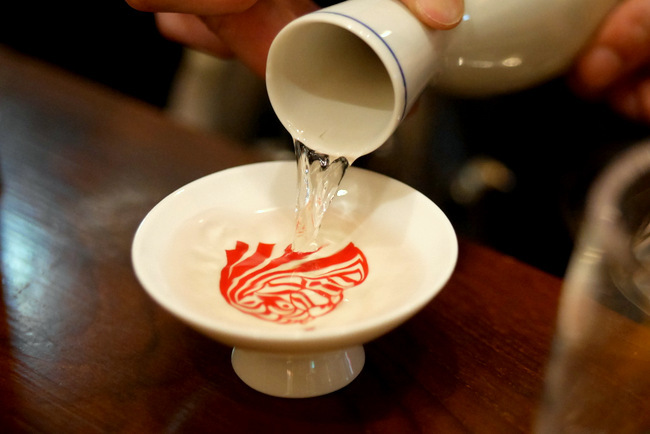 The Shukuu exclusive sake is served warm. It is also here, that I get to witness Luis’ dedication to serving the drink to the best of its potential. Relying on a old-school way of warming by soaking the bottle in hot water, he carefully times and measures the perfect temperature. And, how did he get this perfect temperature? Through a series of taste testing. Thanks, Luis, for doing all the hard work for us. 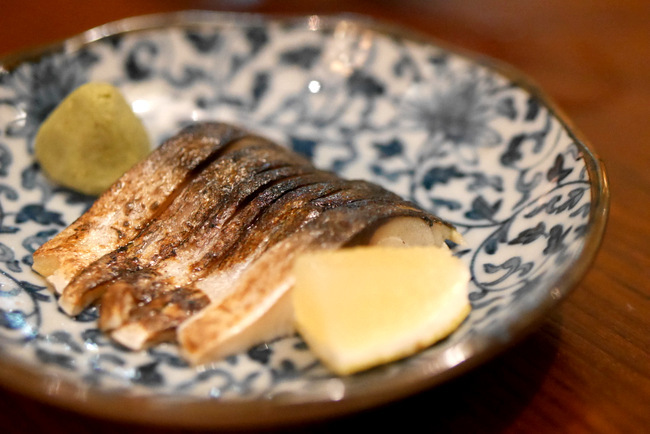 The Shukuu exclusive sake is well paired with the Aburi Shimesaba (mackerel) (S$13). 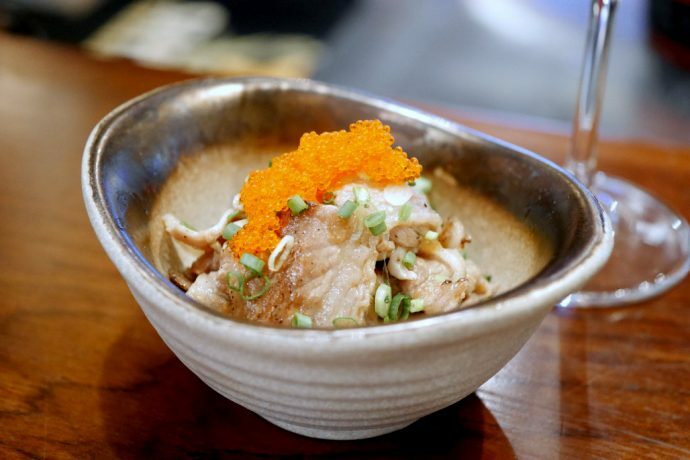 The Shukuu exclusive sake is well paired with the Pork Jowl Charshu with onsen egg (S$12). That said, the savory notes of the sake (which can also be savoured cold), is best paired with strong dishes such as the vinegared Aburi Shimesaba (S$13) or Pork Jowl Charshu with onsen egg (S$12). The latter is an easy favourite, with its tender texture and intense flavour from the 48-hour long marinade. One the most special sakes available at Shukuu Izakaya is the Bodaimoto from Imanishi Brewery (S$118/bottle), and is best paired with the Tsukune (S$4.50). Last to the party, it the grandest of them all. Steeped in tradition and history, Luis presents the Bodaimoto from Imanishi Brewery (S$118/bottle) located at the entrance of one of the holy lands of sake, Miwa (the dwelling of one of the sake gods, Oomiwa). Sake was used in religious ceremonies during the Heian period (794–1185), where temples and shrines then took over majority of its production for 500 years. 20 generations on, Imanishi Brewery continues to uses the ancient Bodaimoto style of brewing only with water that flows just behind the temple. What makes this sake even more coveted, is that the water, before brewing even starts, goes through a ceremonial chant by monks. 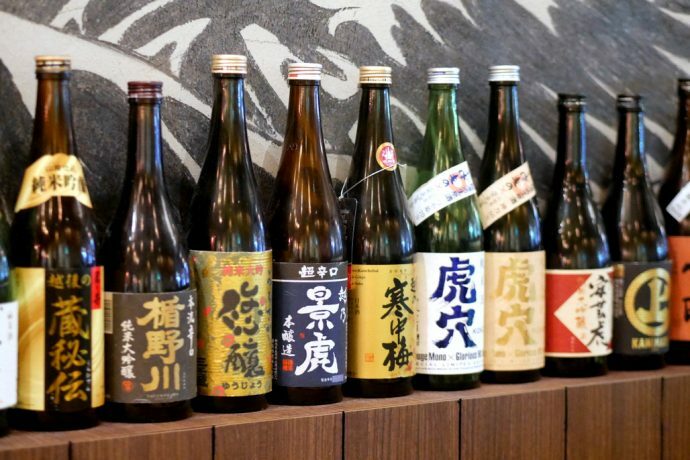 Of the thousands and thousands of breweries in Japan, only 6 are permitted to brew such sake. 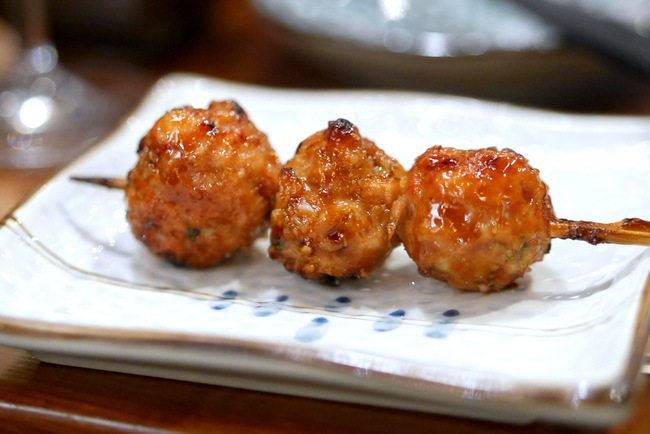 Tsukune (homemade chicken meatballs) (S$4.50) from Shukuu Izakaya. 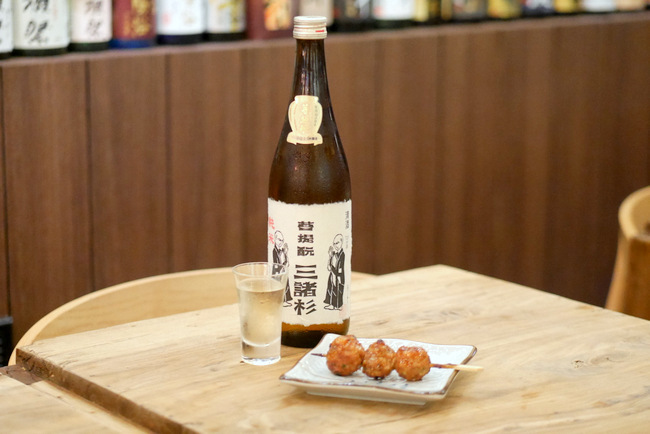 And, what other dish to pair this rich, umami-packed sake steeped in history, than the very simple dish I associate Japan with, the Tsukune (S$4.50). Done right with bits of cartilage giving each bite a nice, resounding crunch, it imparts a hint of smoke courtesy of the grill. What I took home from my quick experience at Shukuu Izakaya (and its plethora of sakes) is a new found curiosity. 2000 years and more worth of history, all brewing in these bottles are just waiting to be discovered. 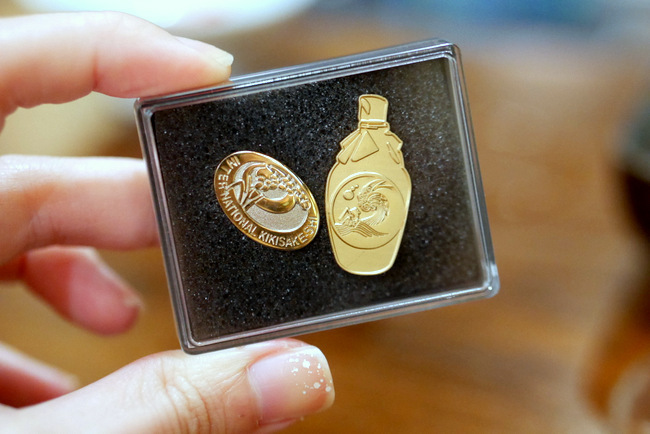 Singapore may be familiar with Japan, with these two nations celebrating 50 years of relations just earlier this year, but its love affair with sake is just beginning – and, inevitable. And, with Luis behind the bar, there really is no better place than Shukuu to start.